I like being able to look at 2 year out. Bought several for gifts. Great for Secret Sisters, friends etc. Looks nice. I believe they'll be enjoyed for a long time! Nice big squares to write in. I buy this year after year. Would be lost without it, I used it for everything. I carry my planner with me to keep up with already scheduled appointments so I don't overlap appointments. and to see what's ahead in coming days and weeks. I love these calendars. Right now, we have three generations using them. The front cover is so pretty and the we love getting them personalized. Great size fits right in my purse without taking up much room. I Love the planners they were personalized and it was made the way I wanted them. I would So buy it again and they good for gifts. I had a few made to give as gifts. Two years ago I gave these calendars to all the girls in my immediate family - and this year I am giving them again. I am the "Grammy" and I like to give them money so they may purchase their choice of gifts for themselves. This gives me a perfect place to tuck in a check and wrap it up so there is a gift under the tree - and each one has a useful schedule-maker, including myself. I use this product to give to my Ladies group and they look forward to getting this item from me every two years. Great stocking stuffers. People love that it's a two year calendar. The name imprinted on the cover was done in black bold lettering. Looked very odd compared to the beautiful cover. Very disappointed. Would of like the lettering done in pink. Would not recommend this product.. I've had these before and made it my main calendar. I keep it in my purse to use to make appointments. I love it so much that I bought one for my sisters I even bought another one for me. I love the planners. I have had them for several years and they are just perfect for my needs. I recently purchased several for gifts. With an on line sale going on today, I figured there were others I would like to get these for also. They turned out very pretty & I think the recipients will find them useful & lovely as well. And yes! I got me one too! It shows love and blessings to others. My favorite color is pink plus I'm a Christian. I like that I can personalize it too! Very happy with previous purchase of item. my other one is six or seven years old, and I wanted a new one. The old one still looks ok, just wanted a new one. It serves an impt purpose for a reasonable price. I ordered this in 2016 and relied on it heavily to keep my appointments. I give them every year to my friends so we can schedule our get togethers. I like a two year calendar and the picture was quite peaceful and neat. Love this 2 Year Planner . It helps me with all my schedules. Space enough to write appointments, birthdays, etc. I chose this two calendar as I love butterflies and the quality of this type of calendar is great. Christmas stocking stuffers for family members. It is for someone who loves PINK and I like the saying. To keep track of all of my appointments. Great for keeping track of everything and planning ahead. 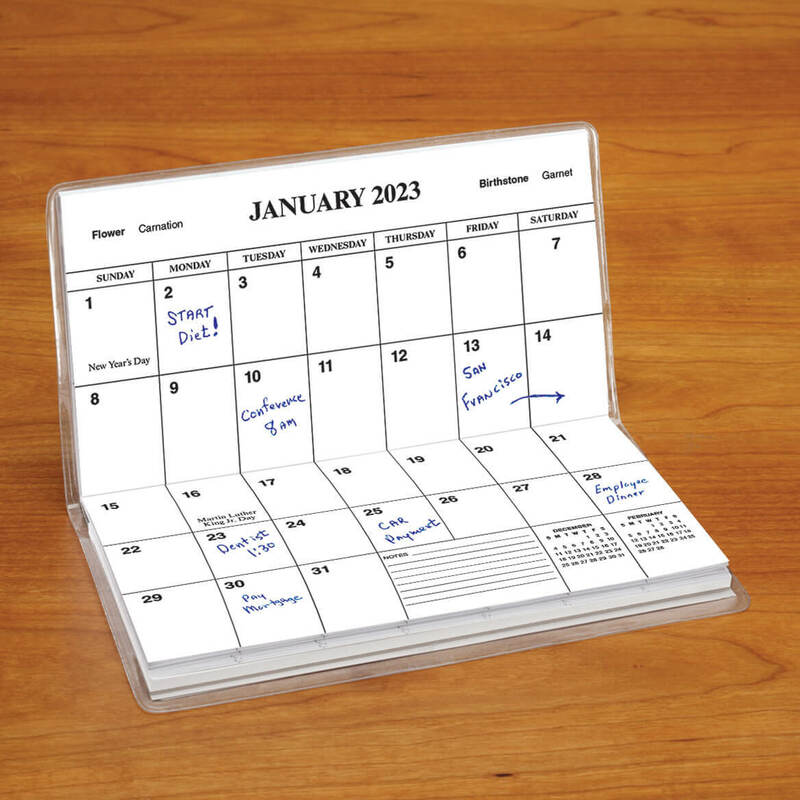 I WANTED A CALENDAR THAT OPENED LIKE A CHECKBOOK. I love these pocket planners. I write appointments, birthdays, events. Helps me stay on track with all my up coming events. I carry on with me everywhere. i have always liked the pocket calendars to keep track of appointments. I order calendar every 2 years.It's that time again! My friends all enjoy the Christmas cards and calendar planners that I choose for them. I like the present one of "songbirds"
I chose this because of Blessings I have received this year for me and my family. Are these 2017/2018 calendars ? BEST ANSWER: Yes, they are. I have been using these two-year planners for many years. They are beautiful, they do not take a lot of room in my purse, and there is enough room in the day blocks for small notes. They have been perfect for me! Are these 2015 and 2016 calendars? BEST ANSWER: Thank you for your question. The two year planners are now for 2015-2016 years. We hope this information is of help to you. No, my calendar was 2014 and 2015 calendars. 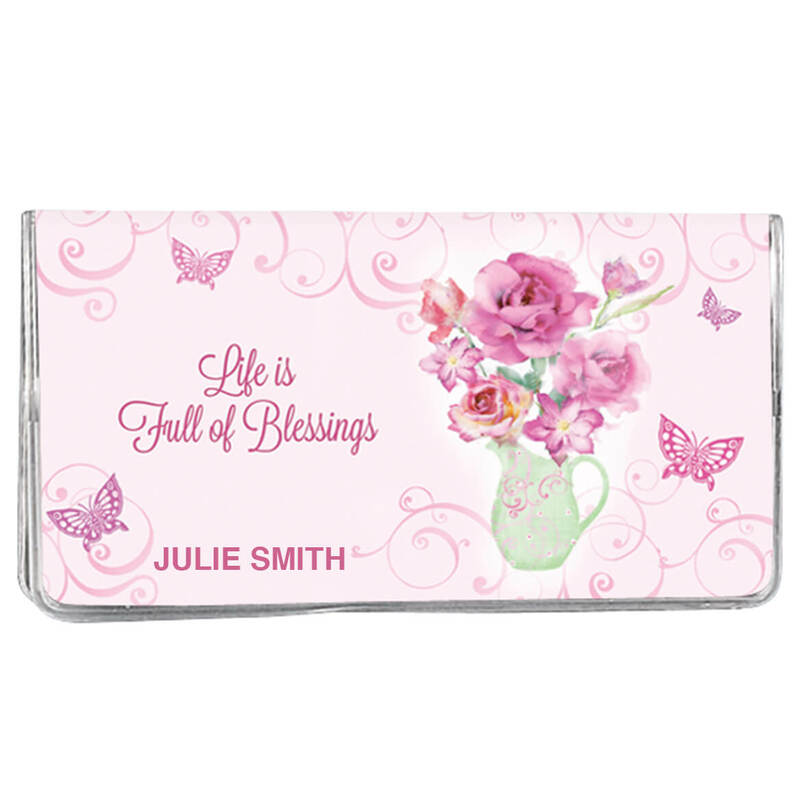 BEST ANSWER: I love the pitcher of Blessing 2 year personalized planner. They come in a lot of designs on the cover. I love because you reorder the calendar after it run out in two. That put the reorder card in the planner on the back under the tablet of paper. I hope this help you. There are other designs. I have purchased about 4 different ones at the same time. I and most of my friends are older so we do not use our phones for appointments but we all love the 2 year calendars. I would be lost without mine! There are other designs available for the cover. This design happens to be very pretty and uplifting. Love this calendar and I purchase one every two years. Is this 2018 & 2019? BEST ANSWER: Thank you for your question. Yes this is 2018-2019. We hope this information will be of help to you. BEST ANSWER: Thank you for your question. Yes these are 2018-2019. We hope this information will be of help to you. Probably still 2017 - 2018. Every 2-year calendar I have purchased starts with the odd year - not the even. The 2019 - 2020 edition should be available mid-to-late 2018. Can 2 different names be printed each on 2 calendars? BEST ANSWER: Thank you for your question. Yes, you can purchase 2 planners and put 2 different names on them. We hope this information will be of help to you. Yes you can print two names on them. It has been a good calendar. BEST ANSWER: Thank you for your question. We are offering 2017-2018 planners. All 2016 planners are sold out. We hope this information will be of help to you. Are these for 2018 and 2019? I want to order and want to personalize? BEST ANSWER: Thank you for your question. The calendar is currently out of stock, we are expecting more of them in the summer of 2017. We hope this information will be of help to you. When will this planner be in stock? BEST ANSWER: Thank you for your question. The planners will be back in stock at the end of June. We hope this information will be of help to you. do you carry angel 2 year planners ? BEST ANSWER: Thank you for your question. No, not specific angel planners, the planners listed on our website is the complete array we have. We hope this information will be of help to you. When will these calendars be available for 2017/2018? BEST ANSWER: Thank you for your question. The calendars are the 2017-18. The image will be updated shortly. We hope this information will be of help to you.